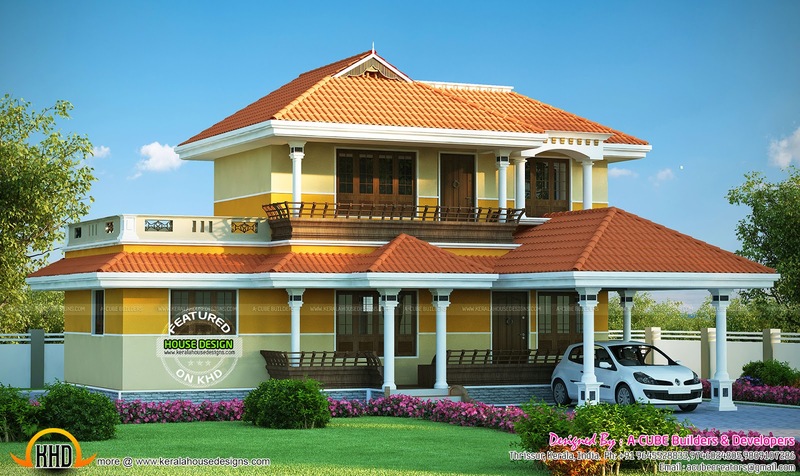 1802 Square Feet (167 Square Meter) (200 Square Yards) 4 bedroom in Kerala style architecture. Designed by A-CUBE Builders & Developers, Thrissur, Kerala. First floor : 632 Sq.Ft. Total area : 1802 Sq.Ft.